Although Apple’s 2012 WWDC event made a lot of Apple users excited about new, upcoming products, those who were hoping to hear about a new iMac were let down. At the conference, Apple mainly concentrated on everything except for the iMac; the biggest upgrade being made to the Macbook Pro, which now comes with Retina display and upgraded performance specs. It has been over 400 days since the iMac has received an update, and Ivy Bridge processors fit for the iMac have been available since April. This would lead one to think that an update should be here soon. The rumor of early 2013 being the release date for the new iMac’s started after Apple CEO Tim Cook answered a fan-submitted question via email and Cook stated that the professional desktop users are very important for the company and the apple team is up to a new project regarding the pro customers of apple that is most likely to come at the beginning of next year. In his word that upgrade is “really great’ and the professional will love it. 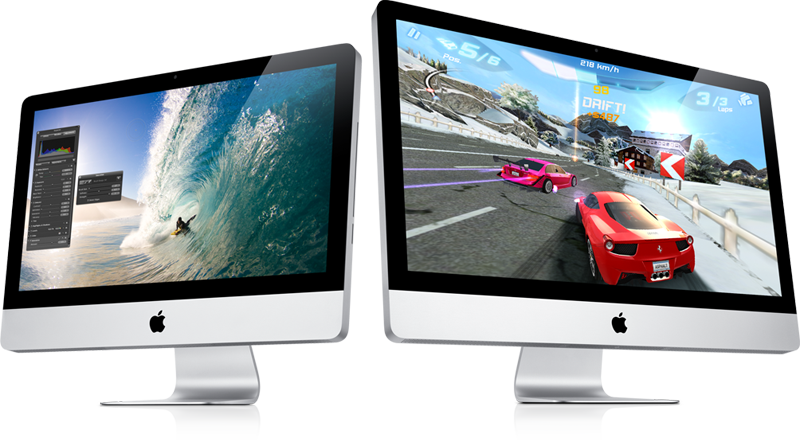 However, there are other, trustworthy rumors that the new iMac may be coming sooner. Sooner, as in late 2012. The new Macbook Pro that was just introduced matched the exact specs of the previously leaked info of a fifteen inch non-retina display Macbook; the tests come via Primate Labs. These tests confirmed that the leaked info was, in fact, legitimate. 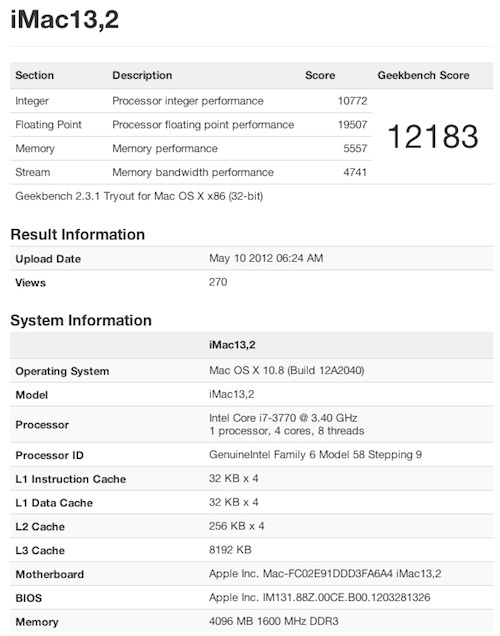 The leaked specifications of the new iMac show that this upcoming model is iMac13, 2. The powerful desktop computer will run on 3.4 GHz Core i7-3770 quad-core processor with 4 GB of 1600 MHz RAM, and will operate on Mountain Lion, OS X 10.8. The image of the specs can be seen below. To even further fuel these rumors, it was initially reported that Apple would update the iMac and Mac Pro models in 2013, as stated by Apple representatives. After those reports got out to the public, part of Apple’s press relations staff specifically stated that only the Mac Pro would get the 2013 update. Based on that clarification, the iMac update is very likely to come by the end of this year, rather than in 2013.